Seafaring continues to be a popular career choice in Romania even when the rest of Europe continues to see a decline in the number of students each successive year to marine colleges. Romanian seafarers come from a long-established European tradition of rigorous academic discipline and sound technical training. They receive some of the world’s finest marine education because of the long history of professional seafaring and reputed marine colleges staffed with teachers having years of experience and some of the most sophisticated teaching equipment and training simulators available anywhere in the world. Romania’s engine crew and electro-technical officers (ETOs) have acquired a reputation for being some of the best professionals in the business and worth every dollar spent on employing them in a commercial fleet. Hundreds of foreign students come to Romania every year to get quality marine education, returning home as marine officers after completing their four-year degree in deck or engineering faculties. There are two native characteristics in particular that Romanian seafarers stand out for, their intelligence and their technical troubleshooting skills. Years of vocational and technical education under the communist system of industrialization has endowed Romania with a huge pool of engineers and industrial workers, including a sizeable segment of professional seafarers and shipbuilding technicians who are valued the world over for their knowledge and technical skills. Professional seafaring in Romania probably began with the establishment of a Fleet School at the Danubian port of Galati in 1872, shortly followed by a Naval Officer’s Academy in the same town in 1896. Early in the 20th century the Naval School moved to the port city of Constanta, and today it counts itself among the premier marine schools of Southeast Europe, the MirceacelBatran Naval Academy, putting out marine graduates and naval officers in both deck and engine departments each academic year. Marine education in Romania is largely provided by the two premier professional schools, viz. the Mircea naval Academy and the Constanta Maritime University (CMU). Both are largely government-funded institutions. A third school has come up in the private sector that provides short-term diploma courses in deck and navigation, the Nautical College, which focuses on vocational training for those who cannot afford to do full-time four-year degree courses. In the marine engineering stream, the CMU offers Bachelors, Masters and doctoral degrees in marine engineering, navigation, electro-mechanical and electro-technical studies as well as maritime economics. The medium of instruction is English. The navigation and maritime transport programmes at the CMU conform to European instruction standards, combining a curricula approved and recognized by the Ministry of Education, the Romanian Naval Authority, as well as recommendations of the International Maritime Organization and the European Agency for Maritime Safety. Romania’s competency certificates have international recognition. At the level of working seafarers, Romania boasts of a highly competent and well staffed training institution in Ceronav, the Romanian Maritime Training Centre, established in 1976 and the most recognized agency for the training of maritime, river and port personnel. The centre operates out of four premises, three in Constanta and a fourth in Galati, and conducts diploma and certificate courses in six disciplines – maritime navigation, river and inland water navigation, marine engineering, tanker specialization, ratings training, and practical training. Ceronav houses state-of-the-art training facilities, laboratories and simulators, along with fire fighting, life-saving and survival training infrastructure. 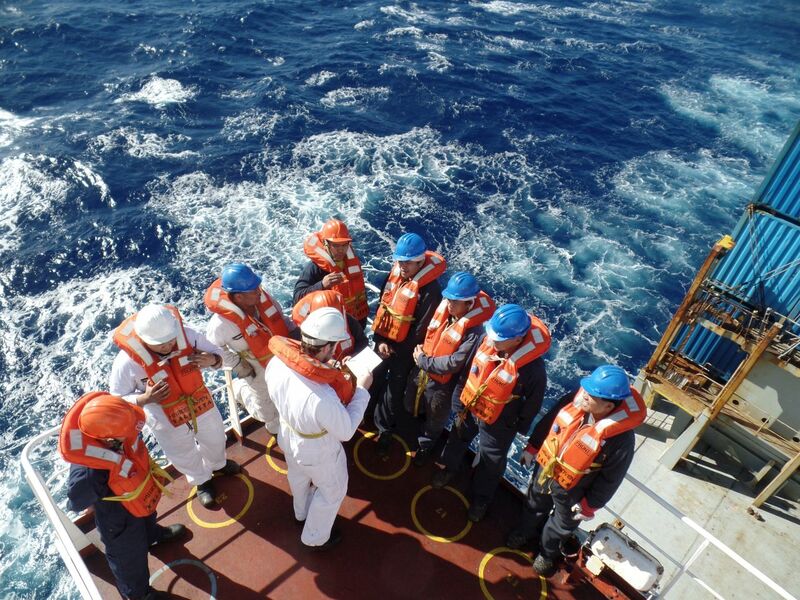 It is a quality certified institution offering the latest training programmes in compliance with the STCW Convention and other international conventions.